I worked as a Palisades Camp counselor the summers of 2000-2006. I completed by Bachelor of Arts from Montclair State University in Family and Child Studies with a concentration in Early Childhood Education in 2005. I moved around the country for 10 years with my husband who was in the army living in New York, Oklahoma, and Hawaii. 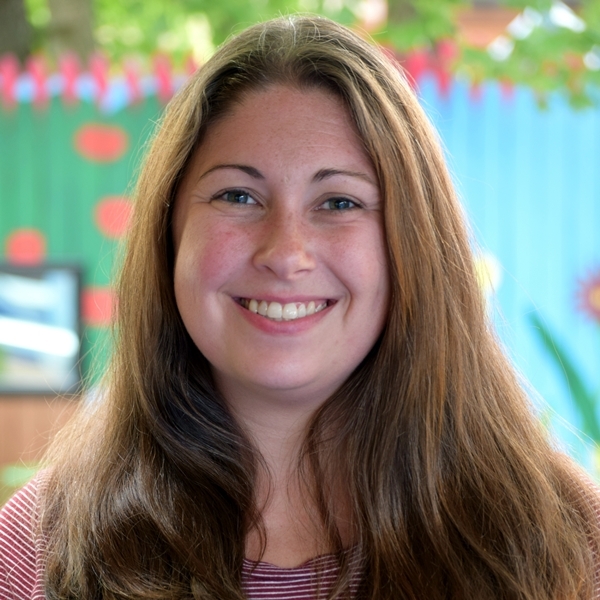 I returned to Northern New Jersey in 2015 and came back to work at Palisades as a counselor in the summer and as a toddler teacher for the school year. I live in Midland Park with my two daughters, two dogs, and husband. I love everything Disney, reading, baking (especially cupcakes! ), and rooting for the Yankees and Giants! While I was away from New Jersey, I worked at various schools and childcare centers but none came close to Palisades. Palisades sets a high bar! I am so happy to be back at a place that lets children be children. I love that Palisades nurtures children and lets them develop at their own pace.